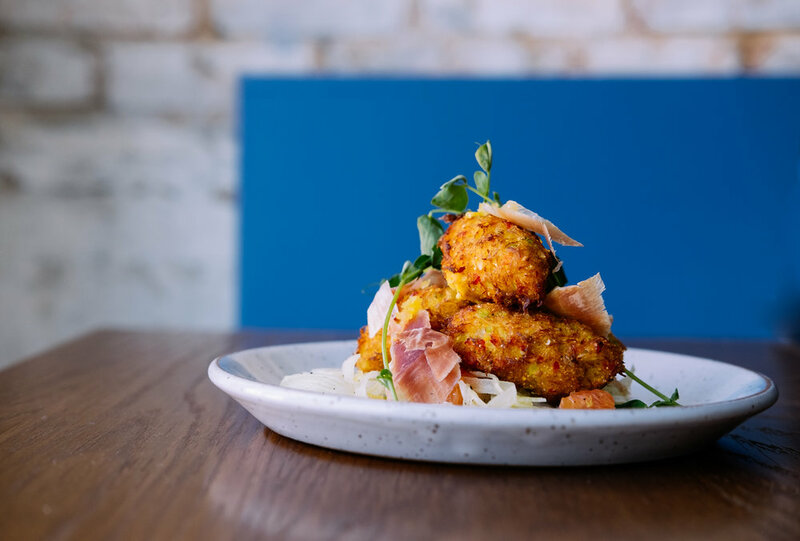 Located in the heart of the Village of West Greenville, The Anchorage is a casual neighborhood restaurant focused on serving our local community thoughtfully prepared small plates, craft cocktails & beer, and sustainable wine. 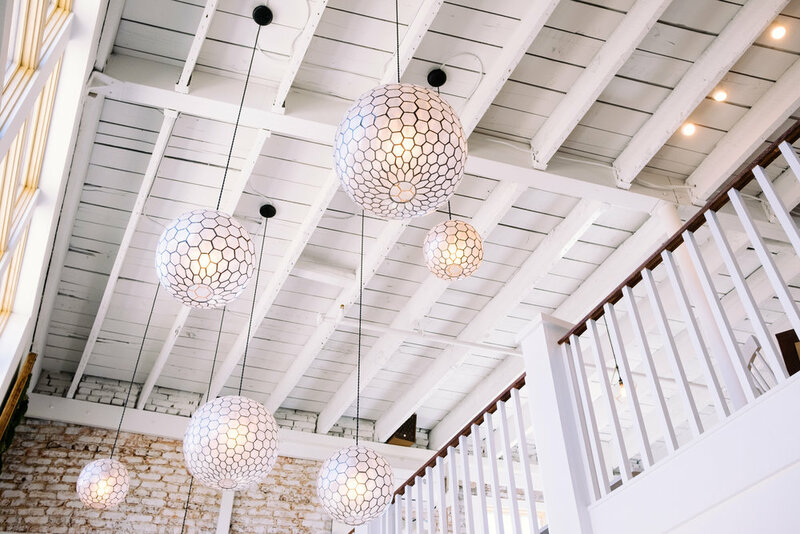 Our goal is to provide a meeting place perfect for anything from a special occasion to a quick dinner before heading home. Our menu is eclectic but with a clear focus on showcasing simple ingredients sourced both locally and from around the region. Our hope is that by working hand in hand with our producers, artisans, and local craftsmen we can offer a unique dining experience with a few surprises and a genuine sense of hospitality. We hope to see you for dinner soon at The Anchorage! At The Anchorage we update our menu almost daily to ensure we are providing our customers with the freshest ingredients possible. Our menu is eclectic but with a clear focus on showcasing simple ingredients sourced both locally and from around the region. For those interested in booking one of our Tasting Tables, more information can be found here. Below are sample menus to show the type of cuisine you can expect to enjoy at The Anchorage. For tonight's exact menu please call the restaurant at 864-219.3082. The Anchorage is now accepting reservations using RESY for all services including brunch. Parties over 6 persons will be required to participate in our Tasting Table, a five course menu priced at $55 per person..
We will be holding a percentage of each night’s tables as well as our entire bar for walk-ins. The slots will be on a first come first serve basis until full at which point a waitlist will be operated using our RESY platform. To be added to the waitlist please call the restaurant at 864-219-3082. Easter Reservations are now available through the link below. . The Anchorage is proud to support Horseshoe Farm, a unique partnership between Grower and Chef. In working hand in hand to supply as much as possible to our restaurant, we both benefit from the relationship and feedback from our counterparts in the kitchen and on the farm. Our Hope is that this unique perspective will allow for more diverse and delicious produce in our local area. The Village of West Greenville has plenty of free parking to choose from. If no spaces are available on Pendleton Street there are two parking lots available that are free. Both are located on Branwood Street behind the restaurant. On the corner of Branwood and Perry we have our own lot that is available after 5pm and is marked. Right next door is a first come first serve city of Greenville City Lot. To access the parking on Branwood street you’ll turn on Irvine and take a left when the road intersects with Perry Avenue. Our lot is before the two way stop (The lot with the painted Gear Building). For the city lot take a left and the lot is on your left behind Indigo Flow and Neo Burrito. We encourage our guests to choose from our curated wine list but understand if one finds the need to bring something special from home. Our corkage fee is $20 per bottle with a maximum of (2) bottles per table. We are always happy to accommodate to the best of our ability if guests have dietary restrictions. If you have extreme allergies or restrictions we encourage you to email us before you dine to ensure we can put the necessary care into preparing your food. Please email info@theanchoragerestaurant.com. For groups over 8 people please email info@theanchoragerestaurant.com with inquiries. We offer a number of packages including closed dates (Sunday, Monday, and Tuesday Evenings), half and full buyouts and larger tasting tables. Yes, we can sell gift cards in any amount. To order either come by the restaurant between the hours of 1 and 4pm or you can email us at info@theanchoragerestaurant.com as we are able to mail gift cards. January 17th, 2017 Greenville News The Anchorage is changing Greenville's food culture. June 15th, 2016 Greenville News As downtown prices rise, independent restaurant owners look at options. Below is a list of our upcoming events. Follow us on social media or sign up for our emails for more information and to be notified when tickets go on sale. Parking is available on Pendleton Street, the City Parking Lot between Branwood and Perry Avenue and at our lot located right behind the plaza in front of the restaurant. We ask that our guests be respectful of private parking lots around our area as not to adversely effect our neighbors. If coming from Downtown: When coming down Pendleton Street turn right on Irvine Street Before hitting the main strip. Take a quick left on Branwood or Perry (Once the Road Ends). Our parking lot is the gravel area around 575 Perry Avenue which is the home painted with Bicycle gears. The City Parking Lot next door is first come first serve (That lot is 2 Hour 8-5 M-Friday). If coming from White Horse Road: When coming down Pendleton Street turn left on Irvine Street after Pace Jewelers but before the Greenville Plaza. Take a quick left on Branwood or Perry (Once the Road Ends). Our parking lot is the gravel area around 575 Perry Avenue which is the home painted with Bicycle gears. The City Parking Lot next door is first come first serve (That lot is 2 Hour 8-5 M-Friday).